Sometimes, life can be incredible. Other times, it can be incredibly painful. We understand that the ups and downs of life can be overwhelming at times. Life’s challenges can overtake us. Oftentimes, whether it’s ourselves, our marriages, or our kids or families, we try to find our own way through. Sometimes, we can. Other times, we need help. This is a place that can help. And you’re very welcome here. … you’ve come to the right place. This is a place that can help. And today is a good day to for support. We’re delighted you’re here. We know that you may be struggling with a wide range of issues. That’s why we’ve taken a team approach in our counseling practice. When you call our front office, our caring staff members will take the time to learn about you, and to set you up with a therapist who’s skill sets match your needs. Additionally, we’ll make sure that your therapist takes your insurance, so that we’re making counseling affordable to you. Finally, you won’t have to wait: We get almost all of our clients seen within seven days of their call. Once you do come in, you’ll find a kind, caring therapist waiting for you, one solely focused on supporting you in your healing journey. Each of our counselors is dedicated to using their skill, training, and expertise to make this a life changing experience: helping you get to the life you want and deserve. 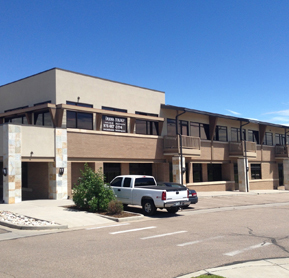 Our office is centrally located in the heart of Greeley, just next to the shops at Cottonwood Square. When you arrive, there’s a comfortable waiting area for you relax into, and your therapist will be right out to join you and take you to our cozy yet professional office spaces. We like to think of our offices in Greeley as not pretentious at all: just a comfortable environment where you’ll feel welcomed and can do the good healing work that will get your life on track. We’re headquartered in Fort Collins. Check out our Littleton counseling office here.